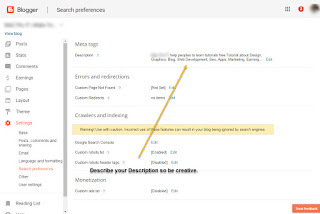 Blogger Seo Tips and Settings we will be discussing blogger SEO so let's start with the most essential settings that a blogger need in order to get indexed firstly on Google or other search engines. So, first of all, select your blog or create a new blog. Go to open your Browser and go to Blogger. If you have a google account just simple click in sign in or create a new account. after creating your blog or sign in. Click on settings and click on search preferences. 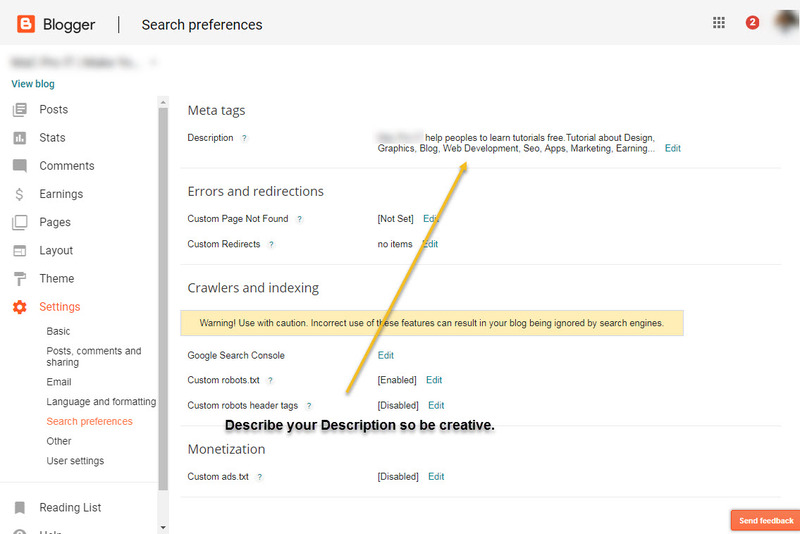 so be very creative with it so what is this description so when Google or any other search engine index is your blogs so here is that 150-word description that will appear in search engine. I hope you get some ideas then click on Save Changes. then here comes the custom robots.txt click on edit enable it.I am gonna show you how to find this robot.txt code. 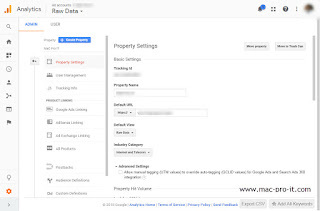 type your website address/robots.txt press enter. Then you will copy all code and paste it in Custom robot.txt and click on save changes. you will get a new option when you type a new post here you will have a new option of a search description. Blogger SEO seatings this custom robots header tags very carefully to set up. So be careful to do that. See this image what I have uploaded. 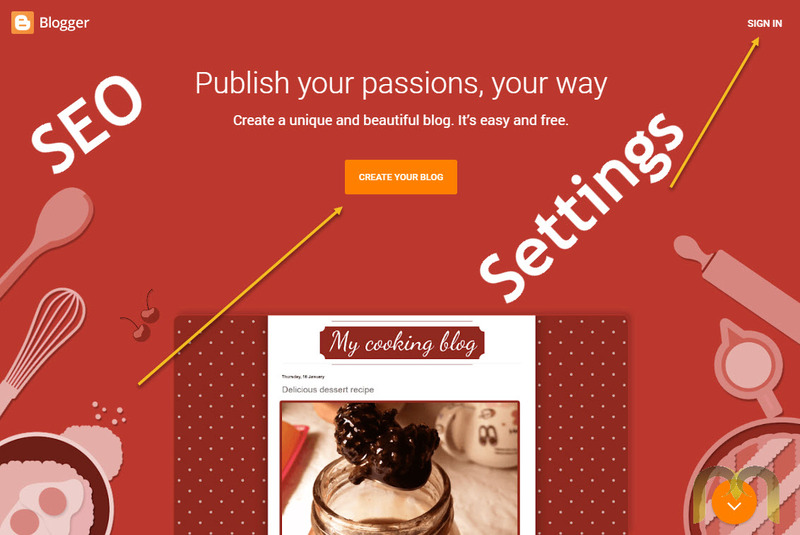 Carefully see and set up your own blog. After setting up your settings then click on save changes. Click on settings and click on Basic Settings. 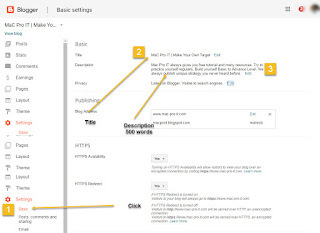 Add your blog title and description about your blog. Description length max 500 words. So type your creative words what is your blogs related. This Blogger Seo will appear in the google search. There will no need to change anything just you will set your posts to show at most 7 so that your blog will be open faster. 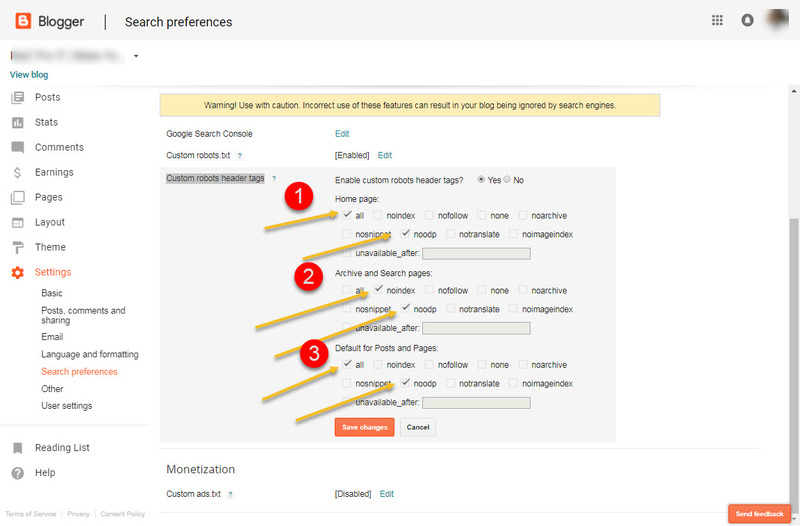 Go to feed burner and create your Feedburner.After settings that you will get a Feedburner link you just simply paste in post feed redirect URL. 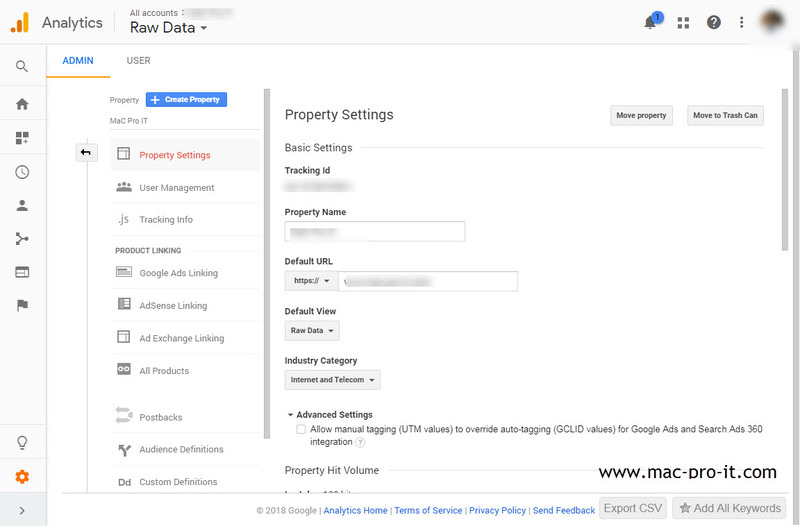 Just copy and paste in Analytics Web Property ID. Just paste in and save changes to save the settings. 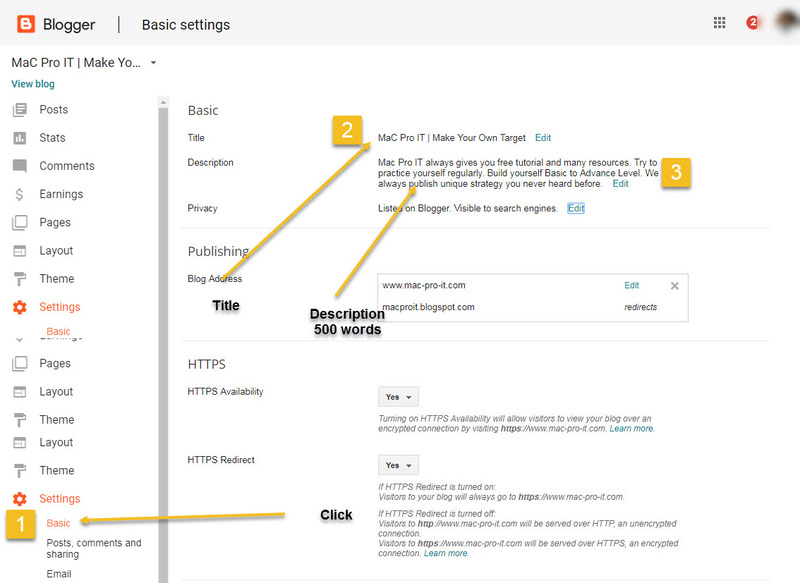 I hope "Blogger Seo Tips and Settings [part-1]" will be very helpful for you in making an SEO blogger. 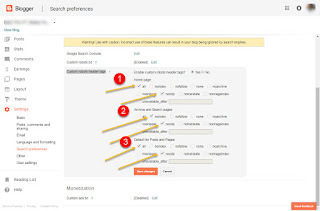 Hopefully this article very helpful to make your blog better Blogger Seo.